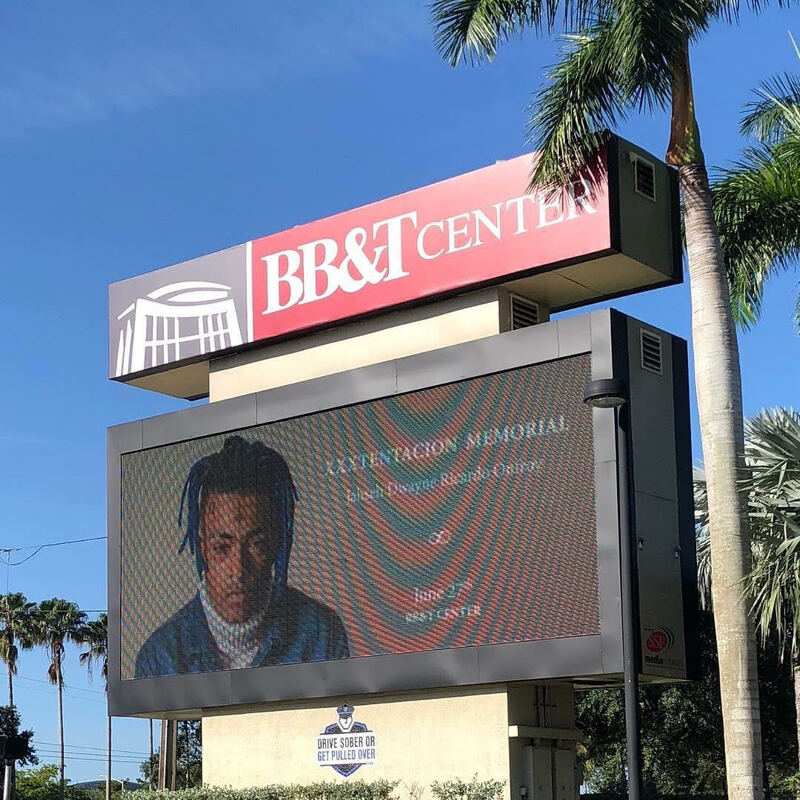 'Remembering XXXTentacion' Today Is XXXTentacion's Public Memorial at the BB&T Center ~ Phresh Hott New! Today is Jahseh Dwayne Ricado Onfroy creatively known as XXXTentacion Public Memorial. The memorial includes an open-casket viewing. Come say your final goodbye at BB&T Center from 12pm to 6pm. Admission is Free. Address: 1 Panther Parkway, Sunrise, Florida 33323. ****No cellular devices, phones, and cameras will be allowed. Please leave them at home or in your vehicle. Any person found with any device of the sort will be immediately turned around at the gate or escorted out and will not be allowed back to the premises. ALL GUESTS WILL BE REQUIRED TO WALK THROUGH A METAL DETECTOR AND ARE SUBJECT TO WANDING. Any of the above items found inside the arena are subject to confiscation and / or guest ejection with no refund given.